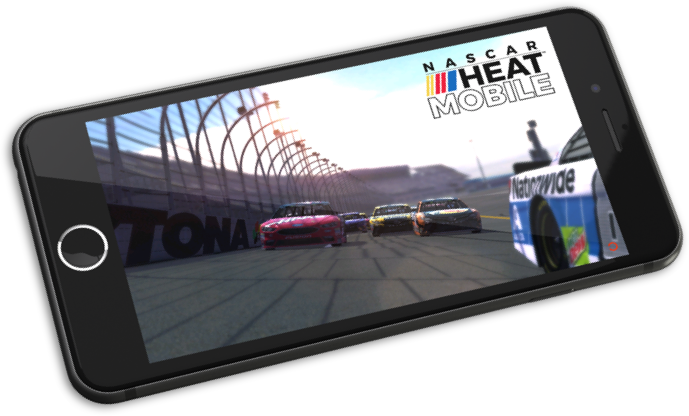 WINFINITE and 704 Games have partnered up to bring real-world prizing to NASCAR Heat Mobile, NASCAR’s exclusive mobile racing experience. Compete in Daily Heats of your choice, which are special in-game challenges featuring NASCAR’s professional drivers and official tracks for a chance to win race day tickets, in-game content, and much more. The WINFINITE companion APP connects you to all of our game partners, alerts you to new in-game prize challenges, and tracks all your winnings. It’s a virtual treasure chest of everything you love about winning and much more. WINFINITE™ ©2018 Versus, LLC / Versus Systems, Inc.